Perfect spiritual tour for those inclined towards tracing ancient and imperative destinations of Buddhism. 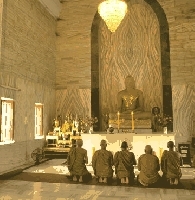 Bestway’s Buddhist Trail tour is truly an enriching spiritual experience. Whether you are a follower of Buddhist faith or not, this itinerary is curated in such a way that it attracts travelers from different walks of life.